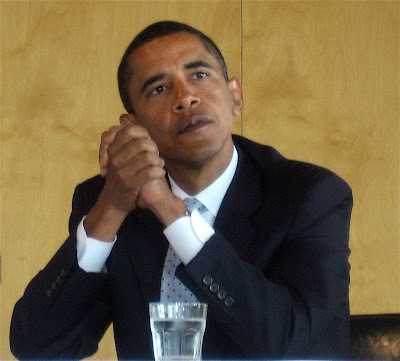 Democratic presidential candidate Barack Obama will visit Charlotte tomorrow (Monday, July 7), the Associated Press is reporting. His campaign hasn't released many details about the visit, which is to be held at an unnamed middle school and is invitation only. So sorry folks, unless you've been invited you won't have a chance to see the Barack-star in person. Obama is coming to listen. This is what it looks like. Obama's campaign says he will be meeting with working families to discuss his plans to help those who have been hurt by the current state of the economy. Maybe it'll be televised. And I wonder at which middle school it will be held. One in the burbs or one in the hood? You know all this stuff is strategically planned.